Even though we just had a hummusy-bean dip on Artichoke White Bean Dip I just couldn’t resist making another one. My daily carrot stick snack has become a little lackluster and in need of something to dip with. What better way to get your dip on than with a hummus. And since hummus is the easiest thing to make and remake it is my go-to dipper. 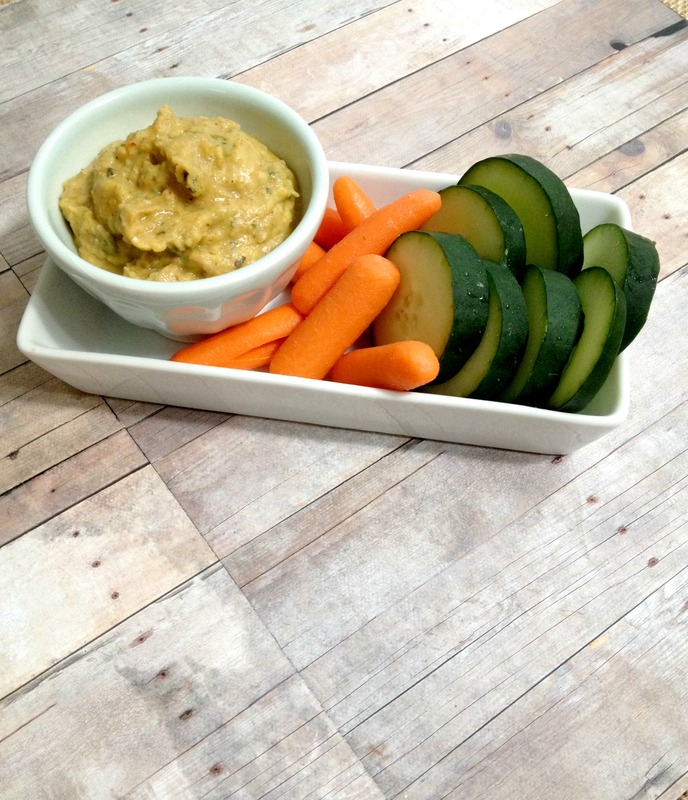 Here is a new vegan and gluten-free Smoky Zucchini Hummus. 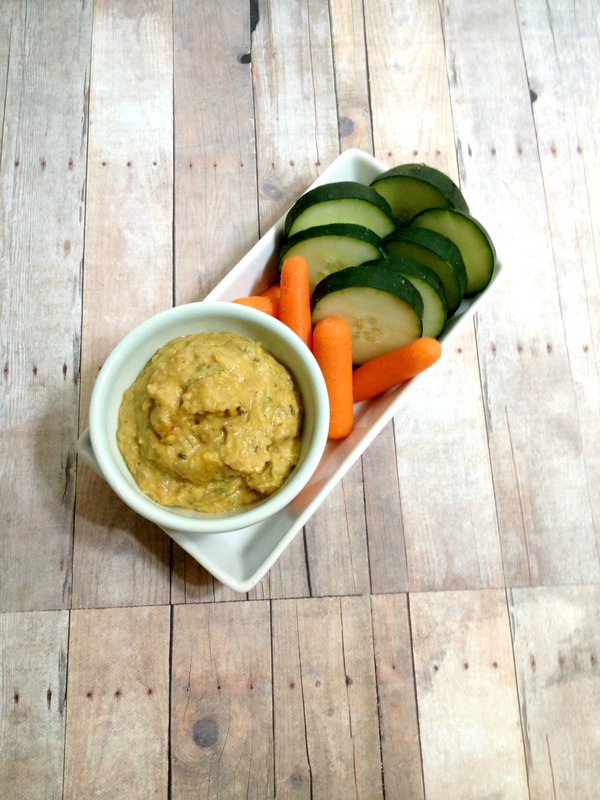 This hummus recipe was inspired by Avocado A Day Nutrition’s Grilled Eggplant and Zucchini Dip – it was such an interesting use of veggies that I had to do something like that too! She grilled her veggies (which is better use of cooking veggies in the summer then using the oven to roast, but hey – I don’t have an outdoor grill!) and chopped into small pieces. Me? 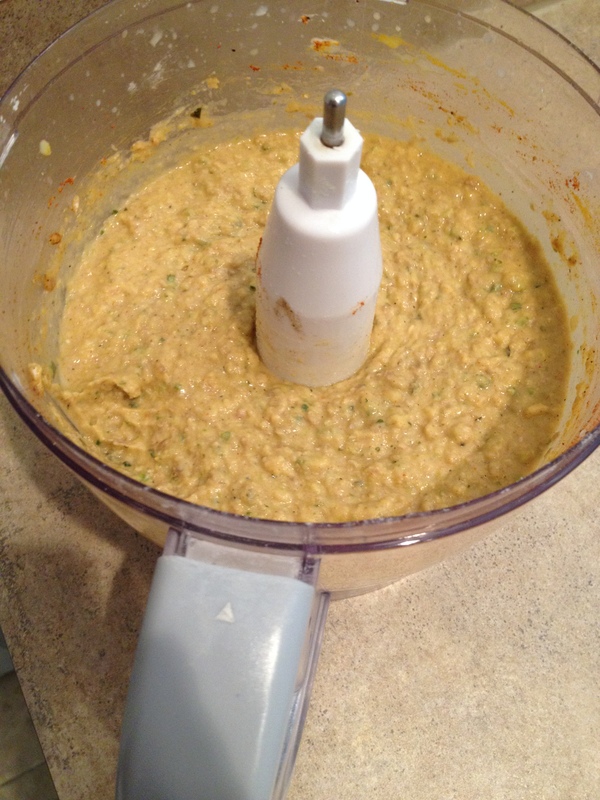 I need something smooth and creamy for my roasted garlic and zucchini so I made hummus. 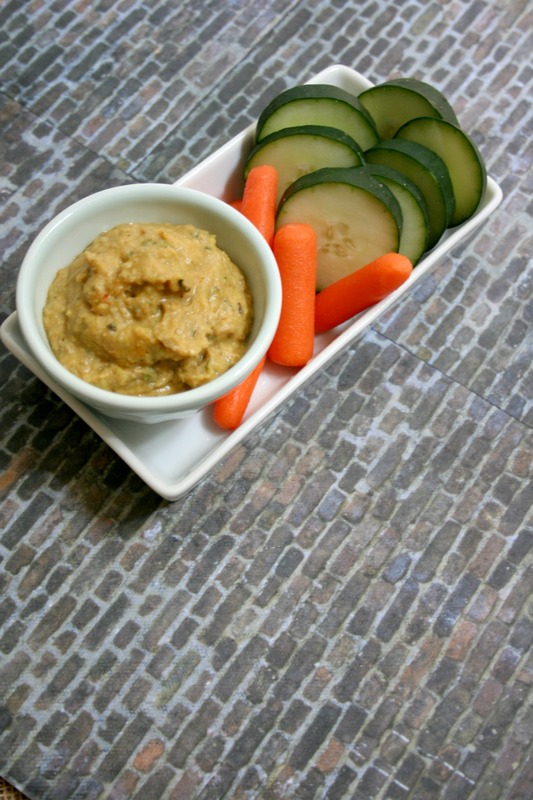 A nice creamy, lightly smoky roasted zucchini hummus. A cool way to add veg to your every day snack! I used dried beans, not canned, so I soaked the entire bag overnight. In the morning I drained the beans then measured out 2 1/2 cups and put the beans on to boil – the rest of beans went in a ziplock baggie and into the fridge with a note written on the bag with the date and “not soaked pinto beans.” While the beans were boiling I roasted the zucchini and garlic with just a little olive oil and black pepper at 375 degrees for 40 minutes. Once everything was done and cooled I dumped everything except the milk into the food processor and turned on then slowly poured in the milk through the top spout. Let process until smooth and creamy. Done and enjoy! 2. In morning set oven to 375 degrees and rinse beans then refill pot with water and bring to a boil over high heat. Turn to low-medium heat and simmer until zucchini and garlic are done. 3. 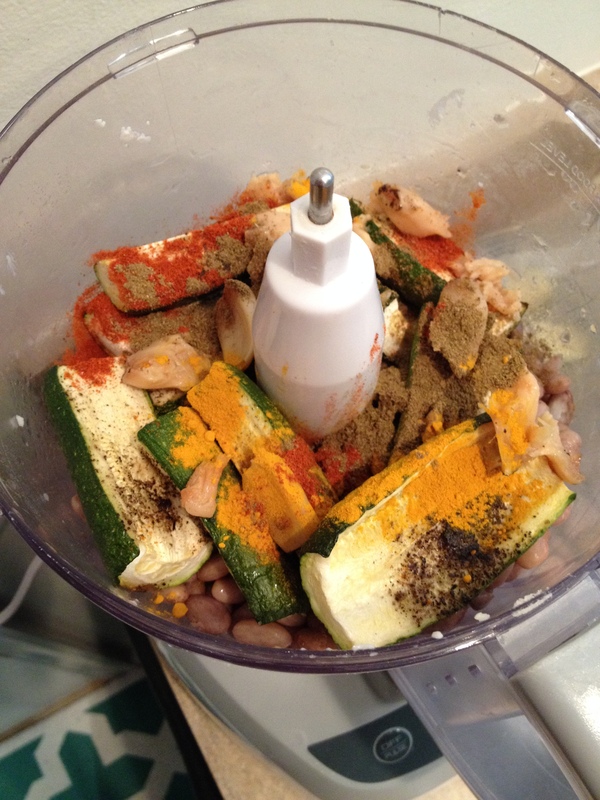 Slice zucchini in half then half again. Place on parchment paper covered baking sheet then sprinkle zucchini with olive oil and black pepper. 4. Place bulb of garlic in middle of foil then cut the top off the bulb. Sprinkle with olive oil and black pepper then scrunch foil around garlic. 5. Roast garlic and zucchini 40 minutes then take out and cool. Drain beans then rinse and let cool. 6. 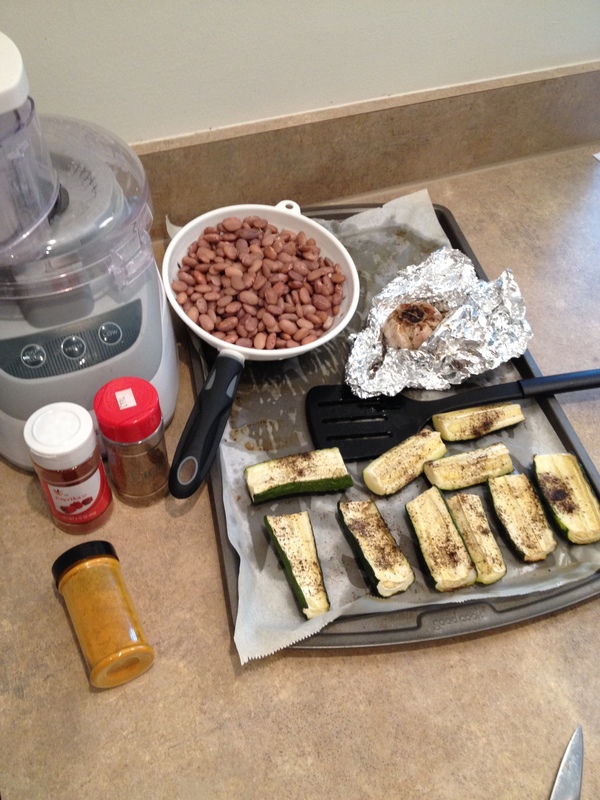 Dump cooled beans, zucchini, and garlic into food processor with spices. 7. 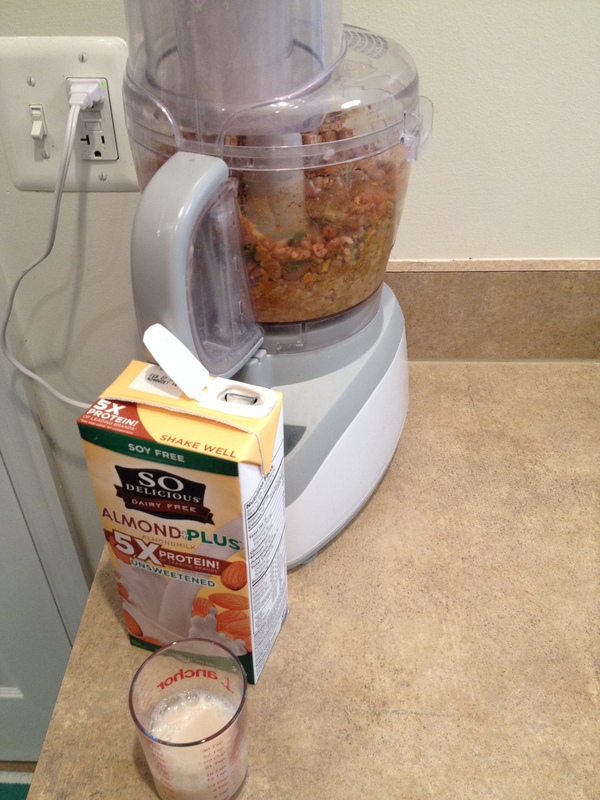 Turn on FP and pour in milk through spout on top. 8. Let whirl until hummus texture.